With choreographed dance steps comparable only to those of the sensational P-Square and look similar to American pop star Usher, Dipp seems ready to take the Hip Hop game to the next level. Christened Oladipupo Ogundele and a native of Ogun state, Dipp is a graduate of Building from the Ahmadu Bello University, Zaria. He was born in Ibadan but grew up in the North listening and dancing to Michael Jackson. 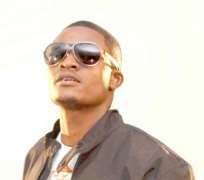 From being a member of a dance group, he matured into a solo dance performer, choreographer, singer and finally an artiste with his first single video blazing the airwaves. The video titled Dangerous is so dramatic you voted him several times on Your Voted Top 7 videos. Today we bring you into the deep world of Dipp. How did you arrive at Dipp for a stage name? Dipp came from way back while I was in the university. I had a lot of friends who called me different names. My full name is Oladipupo Ogindele so they called me Dipo and they eventually slapped it down to Dipp. I was actually looking for a name that would try to describe the kind of music I play and person that I am. So I'm Dipp and my music is deep. When did entertainment begin for you? I've been performing on stage for seven years now. It started with dancing and then singing came later. I've been dancing for so long. I'm a choreographer as well. I started singing about five years ago. Whose songs were you singing then? The likes of Tevin Campbell, Boyz II Men, Michael Jackson and Usher among others but R & b in its purest forms still belong to Boyz II Men. I was performing most of their songs in the north. first I was doing that alone but for dancing I had a group. We were a couple of really close friends who came together and called ourselves Omega. We had come together all the way from secondary school but at time they stopped while I continued doing solo performances. One day, I just thought if I'm dancing so well to other peoples' songs and I can sing why don't I just write my own songs, sing and dance to them as well. That was when I started writing my own songs and went for vocal training. How did you find entertainment while living in the North? Inspiration is universal especially when you have the likes of audio and VHS tapes of Michael Jackson. How did you arrive at the video Dangerous? This particular song 'Dangerous' has been on the air in the North for about two years. Its just that when we brought it to Lagos. It was so difficult breaking into the market and that was when we came up with the idea of a video because we thought if the people could see some visuals it would stimulate them to want to listen to the audio. The song was No. 2 on Rhythm FM in Abuja and No 1 on several other stations. When we brought it to Lagos we had to touch it a bit in terms of mixing and then MI rapped on it. We moved around for one year with the audio trying to get air play but everyone kept slamming the door on us. It's very difficult getting around with an audio single. How old is the video now and how easy was it getting a director? It came out officially in October and it was directed by Mex. I had been in Lagos for six months looking for a director that could achieve what we wanted before we finally shot it. I had written the script and drawn the story board of what I wanted. I had a written document of how I wanted the video to look (that's the script), and also the story board which is a illustration of the scenes fo the video. Everybody I met kept telling me it was very difficult to achieve because I'll need a lot of money to achieve it. I eventually met Max on recommendation and we were able to work together. How easy was it raising money for the shoot? It wasn't easy. My director had to cut down on a lot of things that he felt we could do without before we finally arrived at that and I'm grateful it came out the way it did considering the financial constrains. Were the dancers also your friends from the North? My back-up dancers are still in school in the North and they couldn't make it down for the shoot. So I had to got to Kaffi's studio and she was very accommodating and helpful. I hired about four of her dancers and used her gym in training them. I choreographed them to the tune and they replaced my guys back in the North. Your choreography bears much resemblance with P-Square's. How much of influence do they have on you? Unfortunately not so. I respect P-Square a lot because in their work you can see passion, hard work, dedication and tireless discipline. They are not a fluke as they have proven by their consistency with videos through the years. But they are not in anyway an inspiration for me with regards to watching their videos and wanting to dance like them. I've always been watching Michael Jackson and Usher and I think the only way I can probably prove this is with subsequent videos. I don't know why anyone will liken my dance with P-square's but they are very good choreographers. Do you have to appear like Usher when you dance? It's a known fact that when you wear things on your body especially at the joints, it shows more movement and illustrates your dance further. When you have a hat on your head and then you have a head movement, it shows a lot as opposed to when you do not have a hat on. Hand bands, wristwatches, gloves and jackets also do same. If I pop a jacket on now and with these glasses wear gloves, I'll naturally look like usher but I'd rather let my work do the talking. I'm actually working my way towards the definition of who I truly I'm. That is, my character as a musician and a s time passes and my identity is established they'd (people) not more compare me with Usher just like they(people) refer to Peter as Peter now and no longer as the Usher-look-alike. When do we expect your full album? It's titled 'The Future is Here' and will be released in the first quarter of next year.